It is so important to stay active and healthy whatever our age. Today, more than ever everyone is starting to really embrace fit and healthy lifestyles. More and more people are rejecting processed foods and instead taking up fun outdoors hobbies and thinking more about how to stay well for longer. Young and old people are both aware of how important and precious good health is. There are always lots of easy choices and steps we can all take to make sure we stay as well as we can for as long as possible. Inevitably as we all get older we develop various normal health problems. 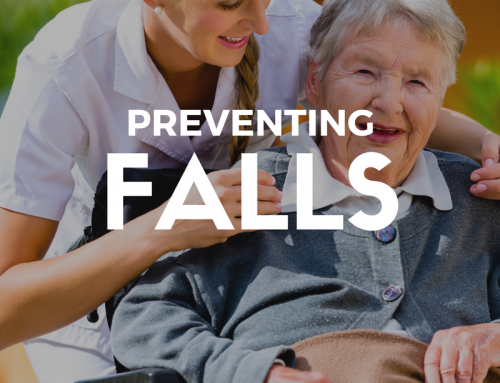 We could start to get aches and pains that need attention, or develop more health issues that need the help of a doctor. 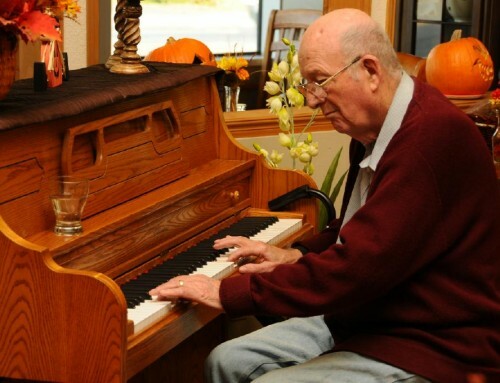 Sadly, as people get older the likelihood of having issues with hearing or eyesight increases dramatically. Most older people will start to need glasses or help from hearing aids. There is nothing abnormal about the changes we see as we age, some things come about because of genetic factors, because of disease or just general wear and tear from life! When it comes to our ears what tends to happen is that the outer ear increases in size, as does the amount of earwax and cartilage in the ear canal. Some people will find that their eardrum stiffens as well, all of which contribute to the ear not working properly and hearing loss occurring. Having a hearing problem can be very annoying. Some symptoms include finding it difficult to understand what people are saying, particularly when there is a lot of background noise, as well as understanding what is speech and what is other sound. Overall, it makes it harder to communicate with other people which is very frustrating. Now, it is not all doom and gloom, thankfully there are lots of things that can be done to help you maintain your ear health and actually improve your quality of hearing. Lets start with thinking about what we can do to prevent early onset of hearing loss. Firstly, remember that loud noises are really bad for our ears. There is a simple rule when it comes to noise – you shouldn’t listen to anything that is louder than 60% of its maximum volume for more than 60 minutes a day. That way you can give your ears a well earned rest! If you love loud music concerts and don’t want to avoid them entirely, then make sure you protect your ears. You can use ear plugs or noise-cancelling headphones, which will allow you to still enjoy the concert, but will reduce the amount of potential damage to your ears. As well as loud music, swimming can have a negative effect on your ear health too. When your ears have water in them, they becoming a great place for bacteria and fungus to grow. This can cause swimmer’s ear. To stop this, make sure you shake your ears of water and don’t put your finger in your ear or a cotton bud to get out water, as this will only increase the likelihood of transferring bacteria into your ear. If you are already finding it hard to hear some people, don’t ask them to speak louder, ask them to speak lower, this will help you hear them a lot better. We mentioned that earwax is a common problem as we get older, but you can keep wax at bay with regular maintenance. A lot of people will use a cotton bud to get in their ear, but don’t do this! You may be surprised to know that actually putting something like a cotton bud into your ear can actually cause more damage as dirt and wax is pushed further back into your ear! Instead use a cloth or tissue to clean the outer ear only. Then you can put baby oil or mineral oil in a syringe and put a few drops into your ears, then follow up with a few drops of hydrogen peroxide. If you don’t want to do this yourself, and think you have excess earwax then see a doctor who can clear out your wax safely. Also make sure you go to see a doctor right away if you think you may have an ear infection. If they are left untreated then they can cause serious problems in the long term. It is always to be cautious and get your ears checked out with a professional. It is really important to prevent hearing loss, by getting your ears checked regularly. There is really no need to worry about having an ear exam, it is here to help you stay healthy. If you don’t get your ears checked regularly then you may start to get balance problems or have falls, that could simply be a symptom of an ear problem that could have been detected with an eye exam. Remember, your ear health is precious. With some simple maintenance and lifestyle changes you can protect your hearing for much longer. 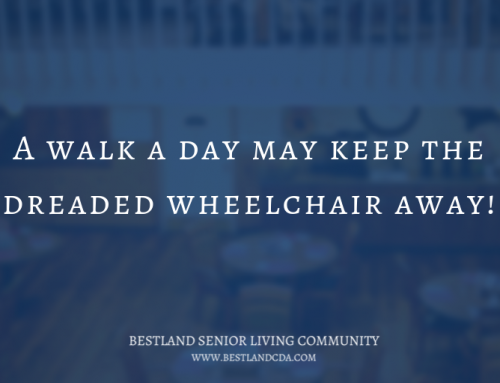 A walk a day may keep the dreaded wheelchair away!